Sheree’s sporting career started at a young age. Whilst still at school she was a member of the local football club and competed for Woking Athletics. One of her biggest achievements was becoming the Surrey 600m Champion. Sheree is still a keen runner to this day and advocates it as a key part of any training programme. Despite her prowess on the sports field, Sheree was fairly shy at school, but secretly harboured a desire to learn martial arts after watching a friend’s brother fight, plus being exposed to the numerous martial arts movies her brother used to watch. Her career finally started at the age of 19 when she started training in Muay Thai at Woking Thai Boxing Club trained by Mick Murphy. Her family were fairly surprised at this decision and her father was quoted as saying “there goes you nose!”. Unperturbed Sheree had her first professional fight at the age of 22 and never looked back. 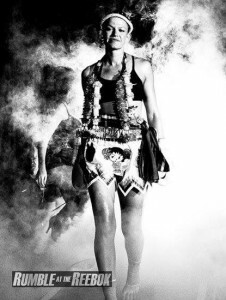 Fighting professionally now for 10 years and with 29 fights to her name, Sheree holds the ISKA World title, IKF European title, WPKL British title, ISKA English title and was also a part of the IFMA World Championships team in 2006 in Bangkok, Thailand gaining a Bronze medal. Sheree’s passion and dedication for the sport has enabled her to fight in the UK, Holland, Sweden and Los Angeles. She is renowned in Bangkok, Thailand where she trains regularly at WPT Gym with Mr Chokechaichana Krutsuwan.